Garden gnomes or enchanting sculptures? 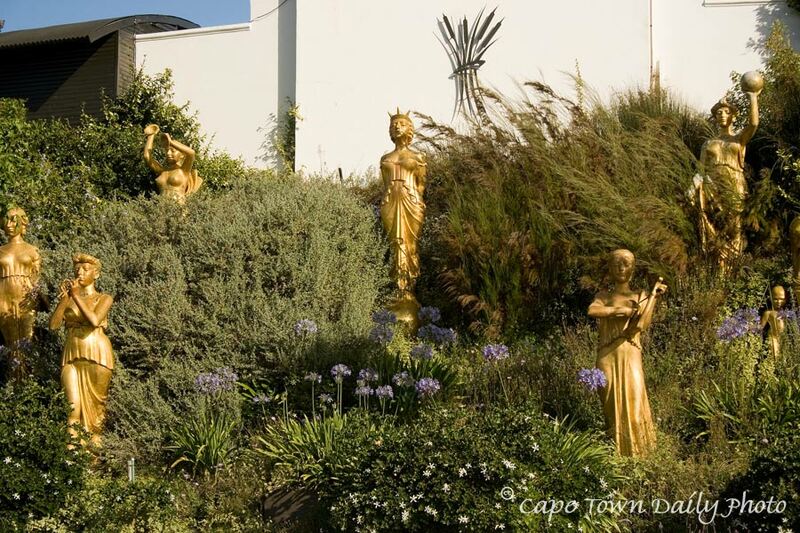 We visited Spier Wine Estate yesterday afternoon, where we discovered these golden sculptures of the nine muses, nestling on an embankment in front of the amphitheatre. I thought they looked rather pretty in the late-afternoon sun, but it seems I might be in the minority - I read a few rather unflattering opinions of them on the web last night. It's hard to tell from a photo, I know, but what are your impressions of these larger-than-life ladies? Click here to see the Wikimapia aerial photograph of Spier Estate. Posted in General on Wednesday, 2 January, 2008 by Kerry-Anne.